Going paleo is a great way to cut down on processed foods, limit salt, and eat more healthfully. And Good Housekeeping’s take on the popular new diet is surprisingly simple and flexible. From soups to nuts, smart-choice meats to chicken, plus plenty of fruits and veggies, more than 60 recipes show you a deliciously different path to wellness. 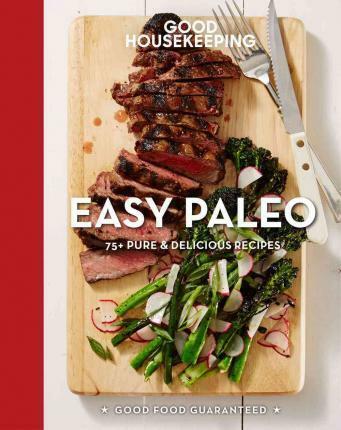 Find out about the paleo advantage, how to stock the paleo pantry, and how to stick to paleo in the real world. The dishes include such mouthwatering choices as Lemon-Oregano Chicken with Mint Zucchini, Skewered Shrimp, Kale Chips, and Grilled Sweet Potatoes.